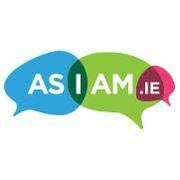 AsIAm is a national autism charity which is working to change public attitudestowards people with autism and to empower people with autism to fully participate inIrish society. It runs a range of programmes in schools, universities andcommunities around Ireland. This year funds raised will be focused on supporting thework the organisation does in empowering young people with autism in thecommunity and in third level, through the work of the organisation's YouthEngagement Officer. Any support you can provide will be greatly appreciated.